“I want to be a doctor”, say many students, and usually the key emotion behind this decision, is to help the mankind. Some also feel that it gives good money and a very good lifestyle with a high status. On the other side some students reject the option of career as a doctor thinking that while it takes more time to become a doctor; however as compared to other science careers it gives lesser money. It is essential to think a little more deeply than just this. There is a saying, “Do anything you want in life, but do it right”. Now the question is, How does one do it right? The fact is that we generally take career related decision, with attachment of either some emotion or personal aspiration or aspiration of our parents or adults around us, leading to disappointment or unhappiness. Probably, we miss the right path which is quite simple. Know yourself more and then take decision. This means knowing our potential i.e. knowing our best aptitude and natural personality traits. Although success always requires effort, but for the person whose aptitudes are a good match with the activities involved in the job, the effort required is actually enjoyable, and so does not seem like labour. This creates enjoyment and happiness while working or performing a job. Medicine is supposed to be a healing and helping profession. It involves lifelong learning and you should first and foremost check how much you enjoy learning things. You need to be interested in science and how body works. You should be the person who cares deeply about other people, their problems and their pain. You should possess an extraordinary ability to control and express your emotion adequately. These are just some of the things that can be found on ones’ own. However, a deeper analysis of your Aptitudes and Personality Traits mapped through a valid and reliable psychometric instrument (like MapMyTalent) can give you a very clear answer if you should consider career as a doctor. You will lose sleep so others may rest peacefully, frequently put your family on hold to answer the hopes of families of those with severe ailments, and yet, constantly suffer under the twin burdens of guilt and responsibility. Would you consider it worth that much? Ask doctors and most would respond with a resounding “You bet!”. If your motivation is money or monetarily acquired status, then medicine may not be a right career for you. The noblest in the world, the medical profession is the only field that places at your disposal the practical skills and education that enable you to heal, protect and save lives on a regular basis. Besides respect and self actualization, there is also plenty of opportunity for handsome remuneration as there is always an acute shortage of qualified doctors. But no good thing ever comes easy. You need to put dedicated years of education and patient hard work to become a doctor. The first step to become a doctor is to get admission into a good MBBS course, after class XII, where you should have taken science stream with Physics, Chemistry and Biology. Then MBBS course is tough to qualify for and requires four and a half years of rigorous study followed by a year of rotating internship, wherein you shall work for short spells in different departments of a hospital- surgery, gynaecology, medicines, and paediatrics and so on; so that you get a working knowledge of what these fields are all about. If you wish to study in Top Medical Colleges in India, medical entrance exams are very competitive. The entrance exams to post graduate medical courses, the ones that doctors take when they finish their MBBS and want to specialize, are even more competitive as there are even fewer seats available. Another way to get into these courses is to pay for a seat, this involves fairly large amounts of money. For better career prospects, a specialization goes a long way, i.e. a Post Graduate (PG) Degree. A PG degree in medicine or surgery- MD (Doctor of Medicine) or MS (Master of Surgery)- takes three years to complete. You could also opt for a 'diploma' in the field of your choice a DGO for instance is a diploma in Obstetrics and Gynaecology as opposed to an MD in Gynaecology. A doctor with an MS degree might decide to go for super specialization- DM (Doctor of Medicine) and become a cardiac surgeon (heart), a thoracic surgeon (thorax), a neuro surgeon (brain) or an orthopaedic surgeon (bones). This takes another two years to complete. Physicians/medical specialist diagnoses and care for people of all ages who are ill or have been injured. They take medical histories, perform physical examinations, conduct diagnostic tests, recommend and provide treatment, and advise patients on their overall health and well-being. Specialists have expertise related to specific diseases, age groups, and bodily organs. Cardiologists/Cardiac surgeon, Neuro-physician/Neuro-Surgeon, psychiatrists, geriatricians, and ophthalmologists are examples of specialists. Doctors generally work in General Hospitals, in Military Hospitals, Polyclinics, Research Institutes, Primary Health Centers, and can also opt for independent Practise and teaching in medical college. Historically, there has been good job security working as a doctor as this profession has not been affected by recession. And last but not the least many a times Doctors are considered as next to GOD. 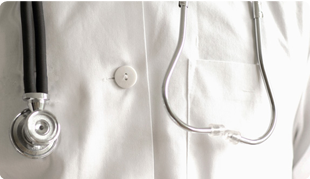 Find out whether Doctor is the RIGHT Career for you!